The definition of customer service remained essentially the same until customer communications channels began to expand. This used to be easy. It’s customer service. That was the phrase that was generally accepted to describe the provision of service to customers before, during and after a purchase. While formalized, documented customer service has existed for more than 100 years, the whole customer service process took a radical turn with the invention of the telephone switchboard in 1894. That allowed customers to connect directly with the company they wanted to reach for customer service rather than having to rely on the painfully slow process of exchanging letters and forms in the mail. The first call centers—i.e., organized telephone-based customer service functions within an organization—first appeared in the 1960s and really took off with the introduction of toll-free numbers in 1967. Toll-free numbers encouraged a caller to contact an organization for free. Imagine, no long-distance telephone charges! This revolutionary concept drove customer service for decades and toll-free numbers became the standard by which most companies were judged in terms of their commitment to customer service. Over the years, the definition of customer service remained essentially the same until customer communications channels began to expand. The first to make an impact was email in the mid-1990s. The impact of email was immediate although it took quite awhile to reach ubiquity. Saddle tree Research’s latest research effort, conducted in conjunction with the not-for-profit National Association of Call Centers (NACC), revealed that about 87% of contact centers today support email customer communications. 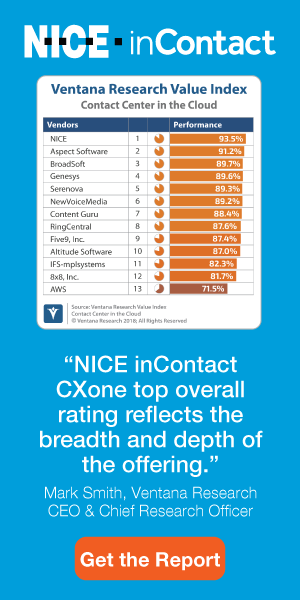 By comparison, 98% of inbound contact centers today support voice customer communications. Still, the arrival of email in the contact center was a pretty exciting development. I recall one of the big-name analyst firms in the ’90s getting lots of press coverage after they predicted that over 90% of all customer communications would be via email by the year 2000. We all know how that worked out. In any case, having more than one customer communications channel to support in the call center not only meant it couldn’t be referred to as “call” center anymore, it also forced the industry to rethink the definition of customer service as being more than just telephone based. In addition, the concept of static, one-time, get-’em-what-they-need-and-get-’em-off-the-phone customer service also matured as enlightened organizations began to realize that a customer experience should span the life of the relationship between the company and its customer, not just one purchase. Forbes magazine describes the customer experience as the cumulative impact of multiple touchpoint over the course of a customer’s interaction with an organization. Several studies focusing on the customer experience have been published since about 1982, but the term “customer experience” really didn’t come into vogue until the last decade. Today, the world of customer experience has expanded to include the brick-and-mortar world as well as the virtual online world, and includes customer touchpoint that weren’t even dreamed of a half-dozen years ago. We now hear the customer experience being described in terms of the customer journey, but many in the industry question where the jumping-off point is between customer experience and the customer journey. According to Vasili Truant, vice president and general manager of Cisco’s contact center business unit, “Contact centers and the customer experience are evolving over the next five to seven years. This evolution will transform the contact center from delivering reactive care to ultimately predictive care—enabling contact centers to move from isolated customer experiences to cohesive journeys. As the industry continues to mature and evolve, it is becoming increasingly important to consider the role of the agent in the customer journey. “The next part of this,” explained Cisco’s Truant, “is changing the agent experience. The emotional state of an agent is altered depending how they are feeling that day, or from dealing with customers who can be in any number of emotional states at any given time. On top of that, agents are dealing with information overload. They are often frustrated by having to toggle back and forth between applications like ticketing, billing, CRM and so on while simultaneously dealing with the emotional state of a customer. Sometimes this becomes a recipe for disaster. The Oxford Dictionary defines the word “journey” as the act of traveling from one place to another. Today’s customer journey is often a multi-stop process that takes the customer from one place to another in their journey. At the end of the journey, as Cisco’s Vasili Truant said, should be brand loyalty and customer retention. That sounds to me like a worthwhile journey.